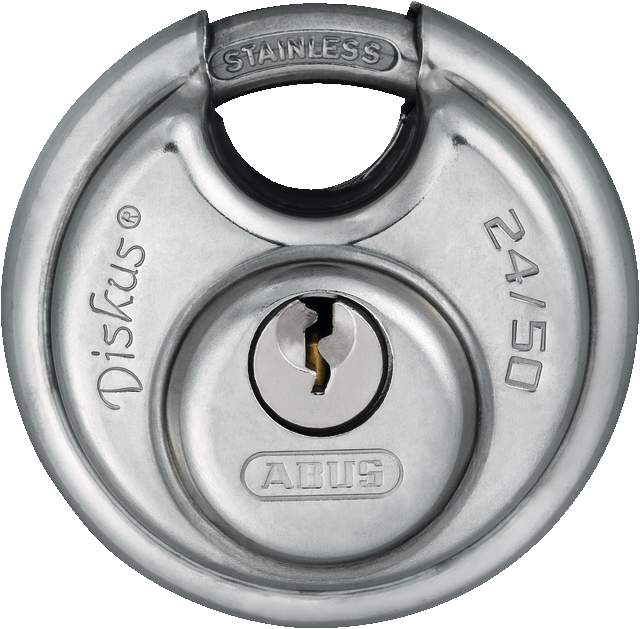 The Diskus padlock, the ABUS Diskus 24 IB offers you all-round protection against theft and corrosion. The ABUS Diskus lock is a special form of padlock with extra advantages. The shape of the Diskus lock provides effective protection against the most common ways of gaining entry. The design of the small shackle opening means there is hardly any space for attacks on the shackle. 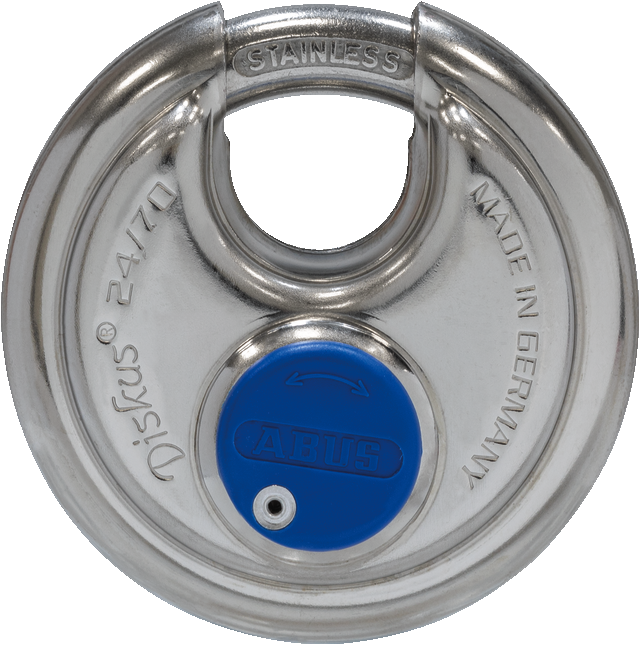 As the ABUS Diskus lock is made primarily of stainless steel, it is used particularly where security and protection against corrosion are required. 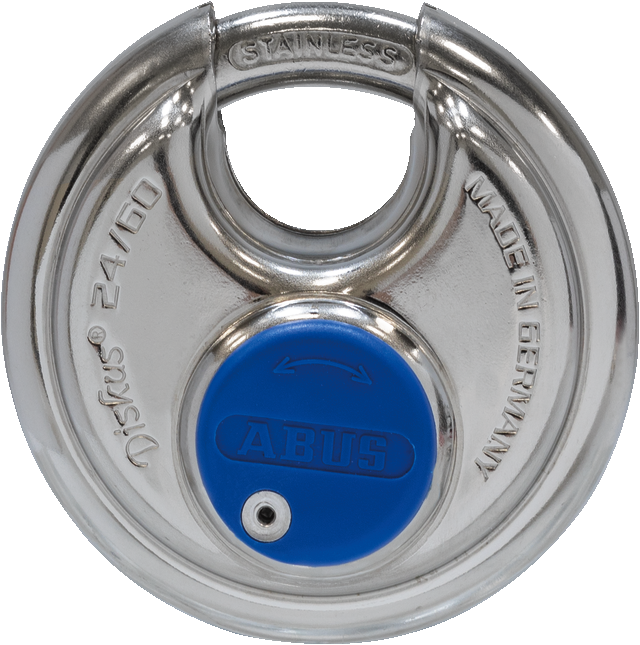 Trucks, doors, gates, barns, cellars, sheds, etc., can all be locked with the ABUS Diskus 24IB. Should ideally be used with an ABUS Diskus hasp so the lock shackle cannot be attacked with tools.